I think the last ten days have been all about the “basics” in my life. Last week I was in Uvita, Costa Rica with my buddy Robert and his friend Ray. Robert and his wife just bought a home down there about a five-minute walk from the beach. Uvita is a sleepy little beach town. There are no t-shirt shops, tourist traps, or beach front bars. As of now, Uvita is as basic as it gets. There is no traffic or malls to rush to. All you need is a pair of shorts, t-shirt, swim trunks, and flip flops. The combination of unspoiled beaches with jungle/mountain backdrops made me feel more relaxed than downing a bottle of Xanax. While on a five-hour ATV tour of the rainforest and mountains, I asked Louis, our guide, if anyone needs antidepressants here. He told me that when people in Uvita feel depressed, they just go to the beach. Uvita was all about the basics: fresh food, clean air, unspoiled nature, and no need for shopping. At least once a year, you must take time out to unplug, get away and recharge your batteries. Yesterday, fresh off my “basics” vacation, I had a catering menu engineering session with a new client. Before we get working, I want to know what type of food they want to cater. This client told me they could cater “anything”. Though you may be able to cater “anything”, it is a recipe for disaster. Most restaurants are famous for their specialty. Stick with the basics. By offering too many options, you make inventorying, purchasing, and cooking a logistical nightmare. Your catering clients are trusting you to stick with the basics; the most popular items that will fit their needs. Does that mean you can’t cater “anything”? Of course not, but not for drop-off. Full service events like weddings, fundraisers and large social events are a great venue to tout and promote your creativity. Corporate drop-off catering is all about the basics: good food, plenty of it, served on time with nothing left off. It is all about the basics. If you think about all businesses, the ones who focus and execute flawlessly on the basics are the most successful. The more you muck up what you do, the greater likelihood things will fall through the cracks. Whether in your personal life or catering life, take stock of what you’re doing. Is there anything you can do to simplify? 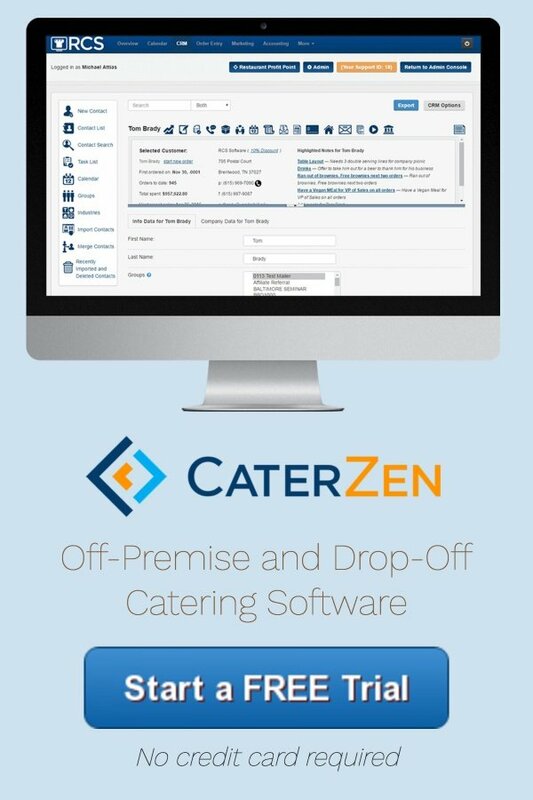 Focus on the basics to build your catering profit center. NOTE: I’ve had many people inquire about the DVD recordings from Caterpalooza; our two day catering conference earlier this year. The 8 DVD set is available and a great tool for you and your team to sell more catering. 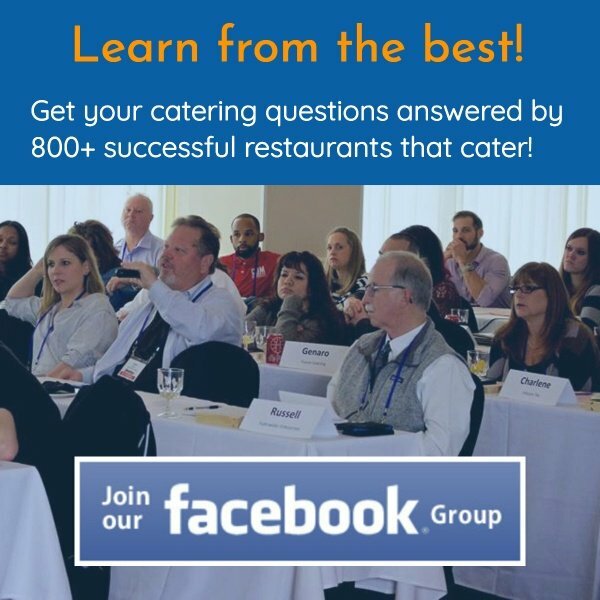 NOTE 2: Let me encourage you to a join our new Facebook group I created for our industry: Restaurants That Cater. It is open to clients and non-clients alike. Please post your successes and challenges and share your knowledge with our community.